Englemed Health News - Verdi good for the heart? Verdi good for the heart? The Italian composer Verdi may hold the key to heart health, researchers reveal today. A senior heart specialist has identified a ten second rhythm - that has to be played repeatedly - that successfully calms the heart rate through changes in blood pressure. Professor Peter Sleight says the rhythm is found particularly in compositions by opera genius Verdi. The Oxford University academic has spent 20 years researching the effects of music on the heart. He has reported his findings to the conference of the British Cardiovascular Society in Manchester, UK. He says that personal musical taste makes little difference to the effect of music on the heart. The style - calming or exciting - is what is important. 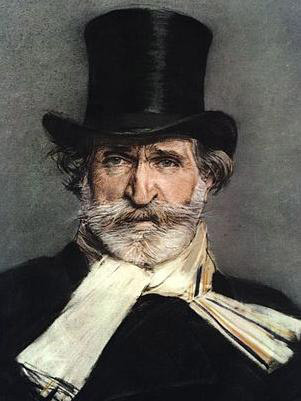 Verdi was one of the 19th century's musical superstars and his opera Nabucco, based on the Israelite captivity in Babylon, helped inspire the liberation of Italy. Its moving slaves' chorus was based on Biblical psalm, later inspiring a pop hit in the 20th century. He said: “Music is already being used commercially as a calming therapy but this has happened independent of controlled studies into its effectiveness. Our research has provided improved understanding as to how music, particularly certain rhythms, can affect your heart and blood vessels.